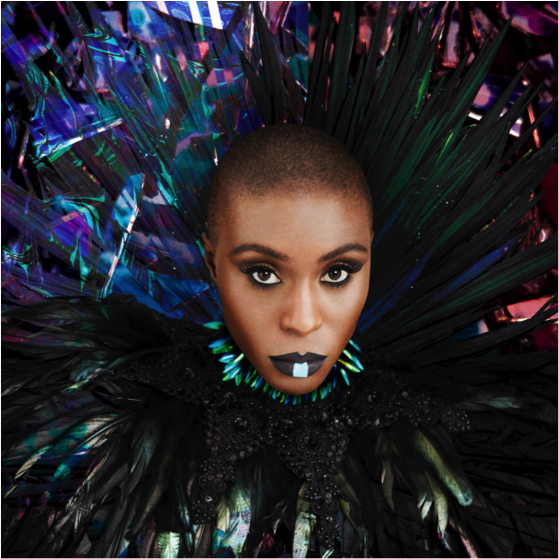 Laura Mvula's had quite the few years - her debut album Sing To The Moon was adored by everyone, fans and critics alike. She was also nominated for The Mercury Prize, which is quite the feat for most musicians, especially so early in their career. There's a lot of expectation building on The Dreaming Room, then. The expectation was worth it, as 'Phenomenal Woman' starts Mvula's follow-up - and it's reminiscent of 70s Pop hits spliced with Funk and even a bit of Gospel, definitely something to show her transition between the two albums. The chorus is punchy and loud, so will be a song that you'll want to get up and dance to. 'People is a slower reggae number with the main message being how her ethnicity has been a struggle for her and others in her community. Wretch 32 contributes rap on this track about being multi-racial, something she has to deal with. Mvula also shows her sentimental side, with 'Nan' being only one minute and twenty seconds long and containing a lovely phone call between her and her elders, talking about her music and how she's doing. If that doesn't make you smile, I don't know what will. The Dreaming Room definitely shows all aspects of her incredible sound and voice, as well as how she's moved on as artist from her debut. She's completely knocked the ball out of the park with this record, as every track is a joy to listen to and will uplift anyone's day. That's partly because of the rhythm and lyrics, but also because of the messages in each track, showing each positive dimension of her personality through her hopefully inspiring music. You can buy The Dreaming Room on iTunes, Amazon (UK | US) and listen for free on Spotify. Follow Laura on Facebook, Twitter and Instagram to see what she's up to. Don't forget to follow me on Twitter and Instagram to see my latest post before anyone else. Links may contain affiliate partners, meaning I get a few pennies from each sale. *PR samples were sent, but the opinions reflected in this post are my own.